Hello guys.Hope you all enjoyed your Easter break. I know it's quite jarring coming off from a 4-day weekend. 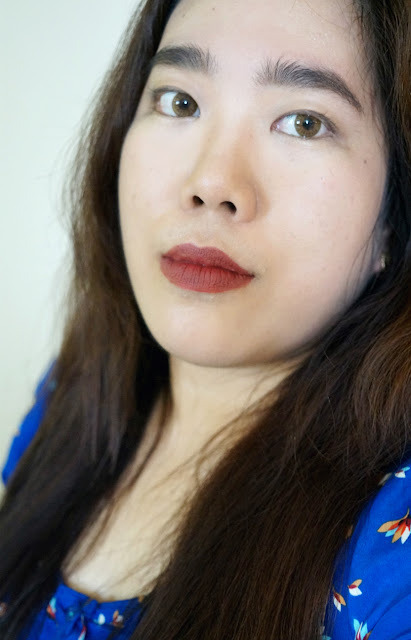 *_* I have yet another lipstick review to make the Monday blues easier to bear. 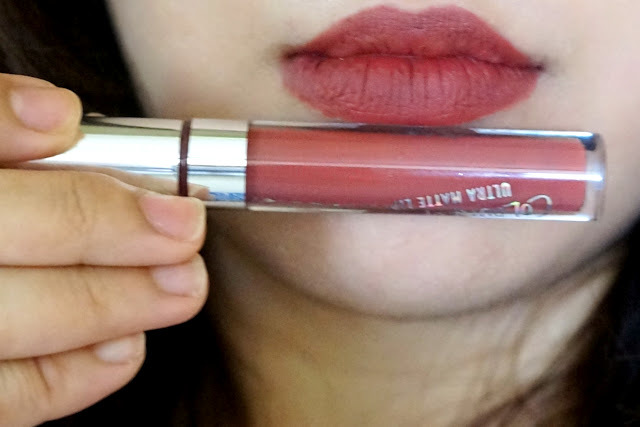 This liquid lipstick is from cult favorite Colourpop. I have been slowly collecting their lipsticks but somehow I haven't gotten to reviewing so today would be a start. Tulle is described as "a dusty mauve burgundy." 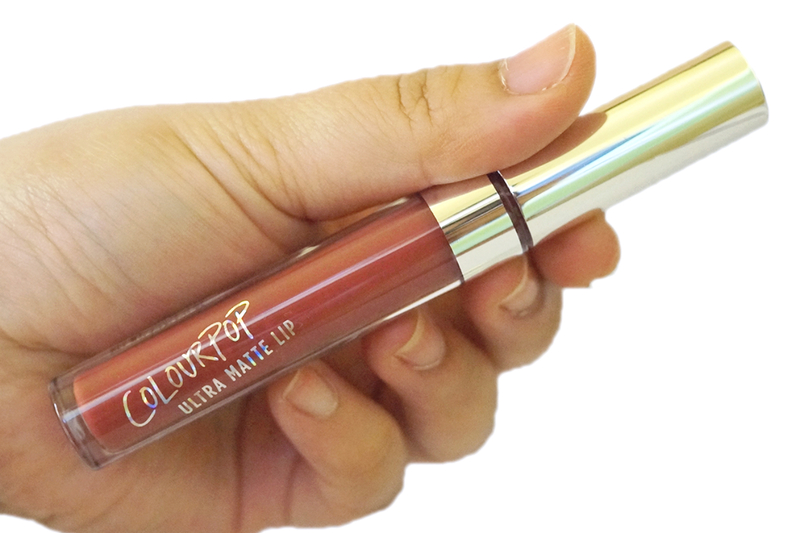 (via colourpop.com). 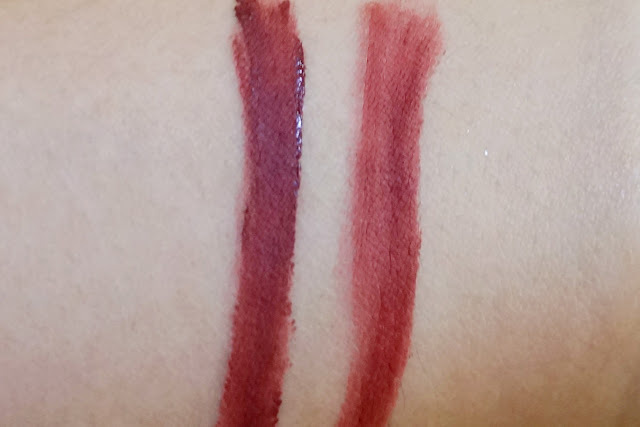 This is a medium-deep burgundy plum-red with warm undertones. I have similar deep reds in my stash but I can't seem to stop collecting them. 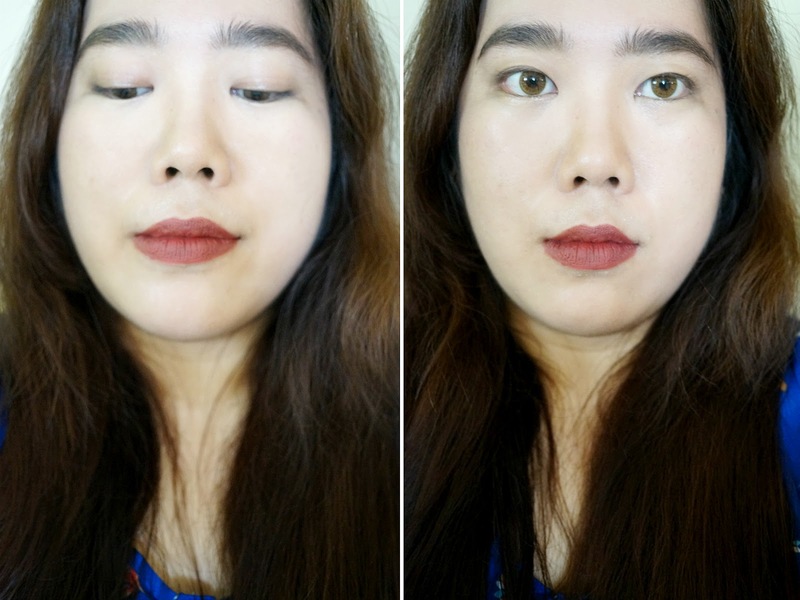 I am such a sucker for these shades which just looks chic and effortless even if you're not wearing any other makeup. 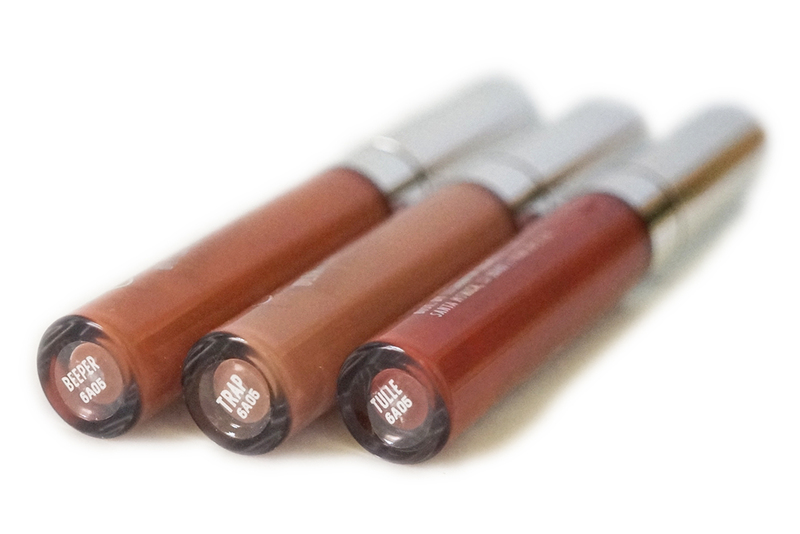 Pigmentation: Highly pigmented and one layer gives you opaque coverage. This applies glossy but will dry quickly to a matte finish. Formula/Texture: This have a light, watery texture which wasn't runny nor too thick. It applied smooth and evenly, with no streaks and doesn't emphasize any dry patches on the lips. This felt fairly comfortable on the lips, despite being a true matte. You do need to prep the lips well before application so you can avoid any dryness. 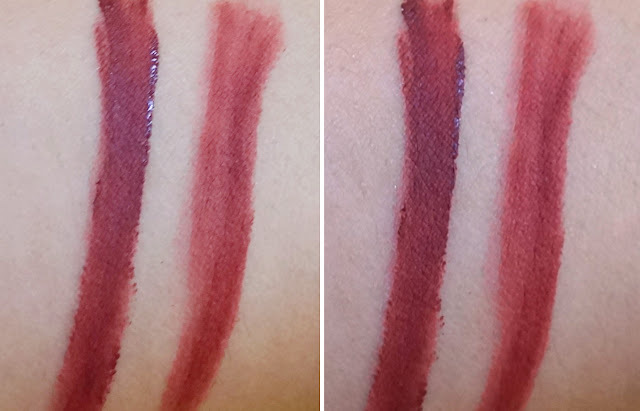 Once the lipstick dries, it's essentially transfer-proof. I like how this really stays relatively matte and dry even after eating or drinking. You will see some transfer after a meal but blotting a few times would remedy that. 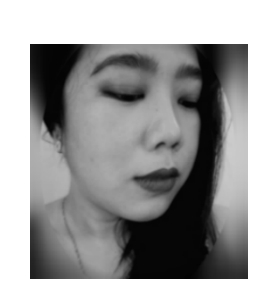 I did not experience any goopy, sticky feeling as my lips get wet unlike other liquid lipsticks I've tried in the past. Wear time is great with the color looking good as new after six hours. 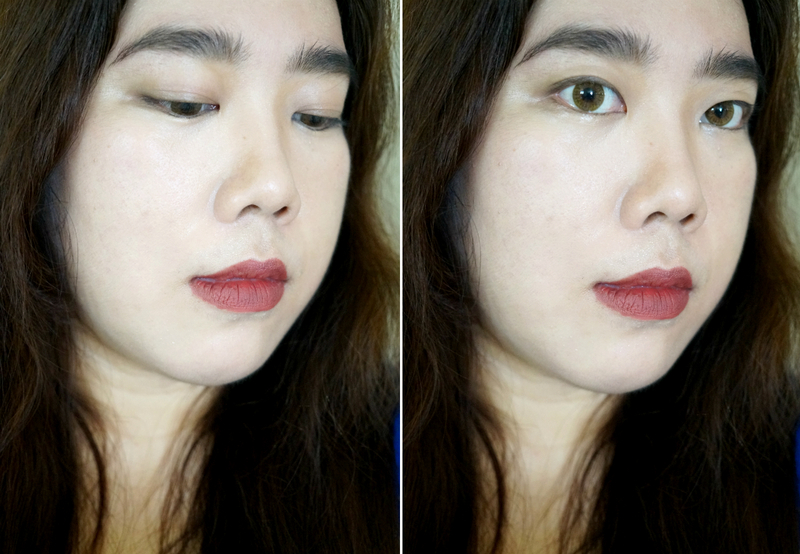 This darker shade lasted the whole day on me (up to eight hours), requiring only some blotting after I ate. 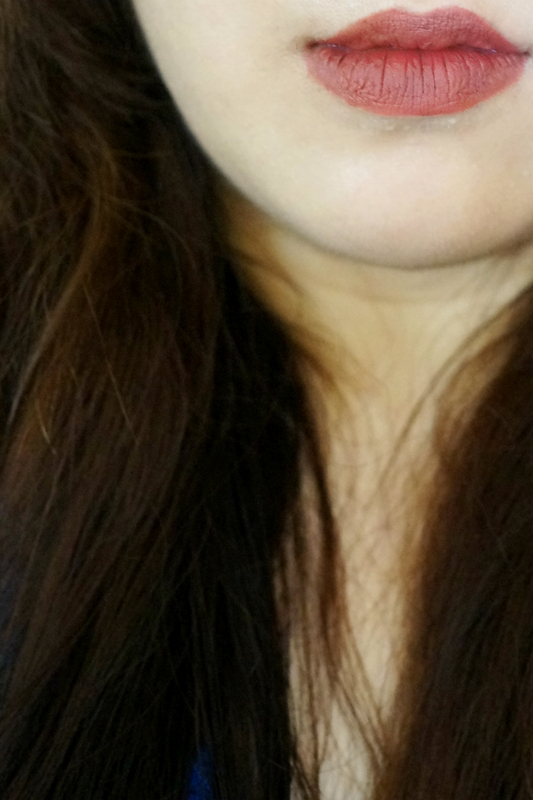 I did feel that my lips are feeling dry after a few hours (5-6 hours) but not to the point of being uncomfortable.